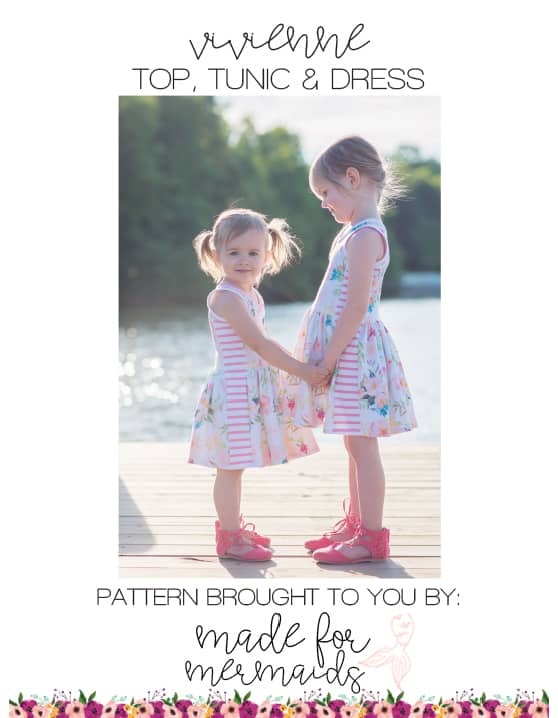 Vivienne and Dylan are our sew-a-long patterns for this month! Don’t have your copies yet? Grab them over here! 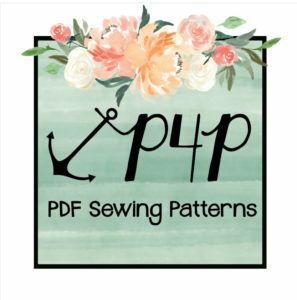 This month’s sew-a-long is sponsored by Thread & Grain, and of course, M4M and P4P. We also have a few more surprises coming this week so stay tuned!! Vivienne and Women’s Vivienne are both quick, knit patterns that are PERFECT for the spring weather that’s finally starting to show up (although they also make great layering pieces during the cooler months). Vivienne features three lengths (top, tunic, or above the knee dress), side panels (perfect for using up scrap fabric, custom knits, etc! 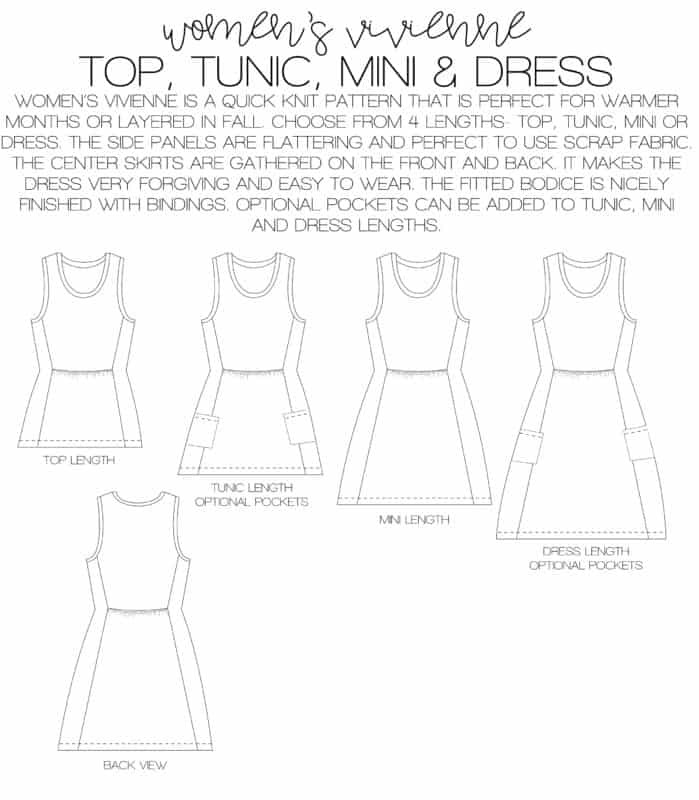 ), gathered center skirts, and optional pockets. Dylan and Men’s Dylan coordinate with Vivienne. 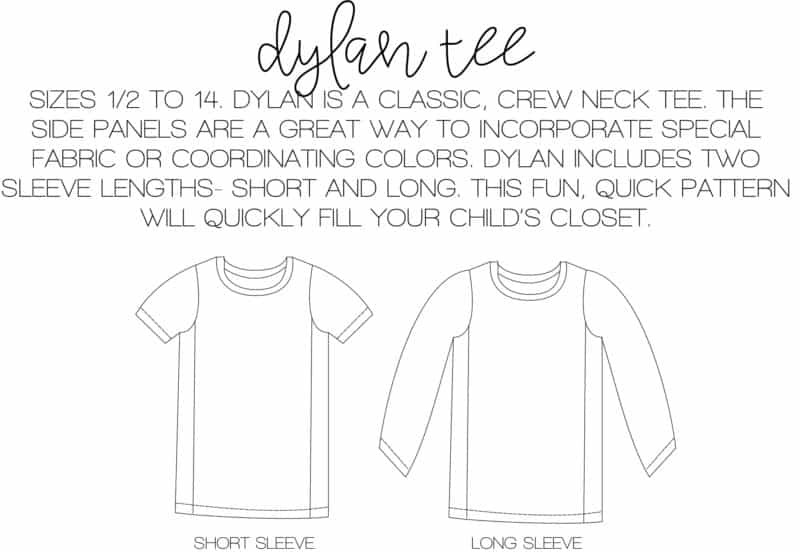 The Dylan tee is a quick, fun, and classic style knit t-shirt. You can use any knit with at least 30% stretch – it would be a great athletic top in performance knit, or the perfect everyday tee with a jersey knit. Like Vivienne, the side panels are a great way to use fun custom knits or coordinating fabrics. 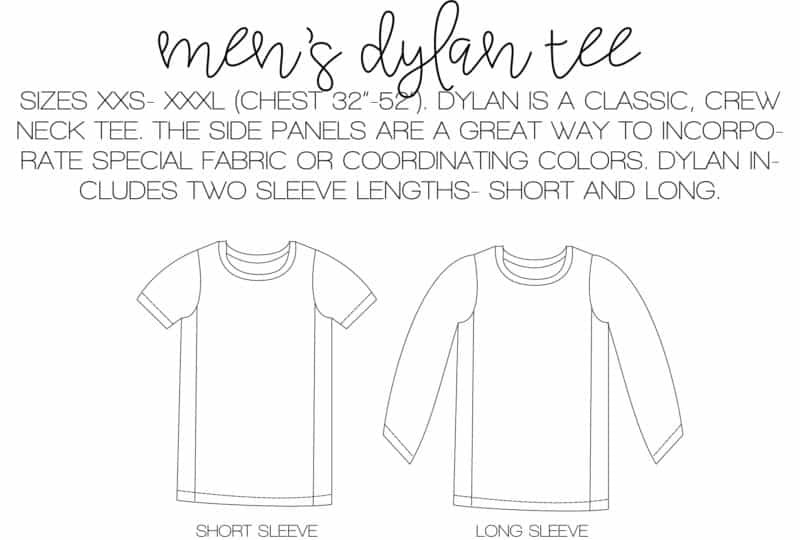 Dylan includes both short and long sleeves, so is perfect for year-long wear. Looking here for more extensive grading help! Our first day is all about prep! 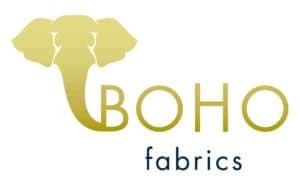 First, be sure to measure yourself (or the person/people that you are sewing for) accurately. 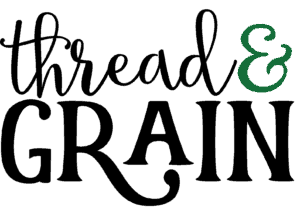 The tutorial includes information about grading and mashing, but you can also check out the blog linked above! I mash sizes for both of my kids, and have to grade a bit for myself as well most of the time! I always like to get fresh measurements before I sit down to sew anything, especially for the kids, because they change so often. 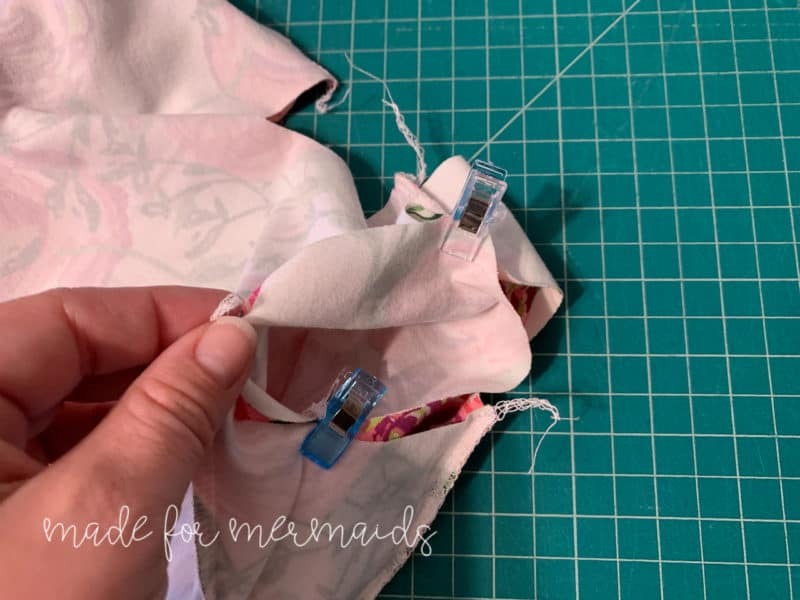 NOTE – Even though a lot of the tester and listing photos show Dylan and Vivienne made with contrasting fabric, I LOVE to do the whole garment in the same print. 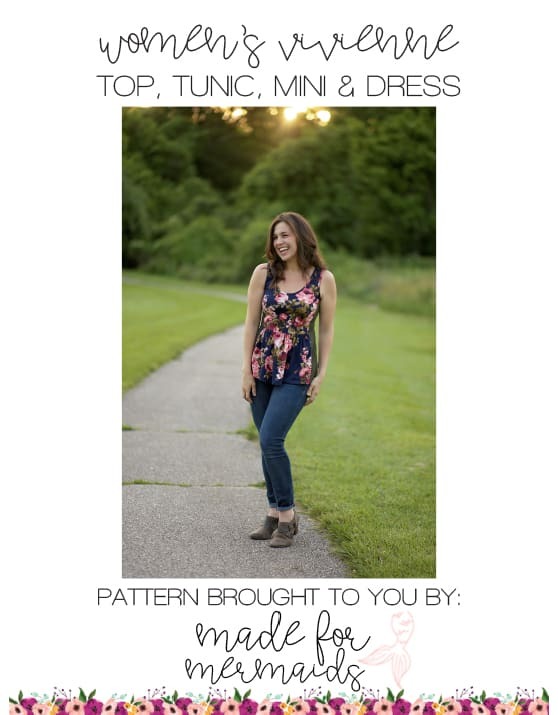 The paneled look is not my favorite on myself (even though it is so flattering on other people, and I love it on my kids as well), but the pattern works equally well if you use all the same fabric for the whole garment. 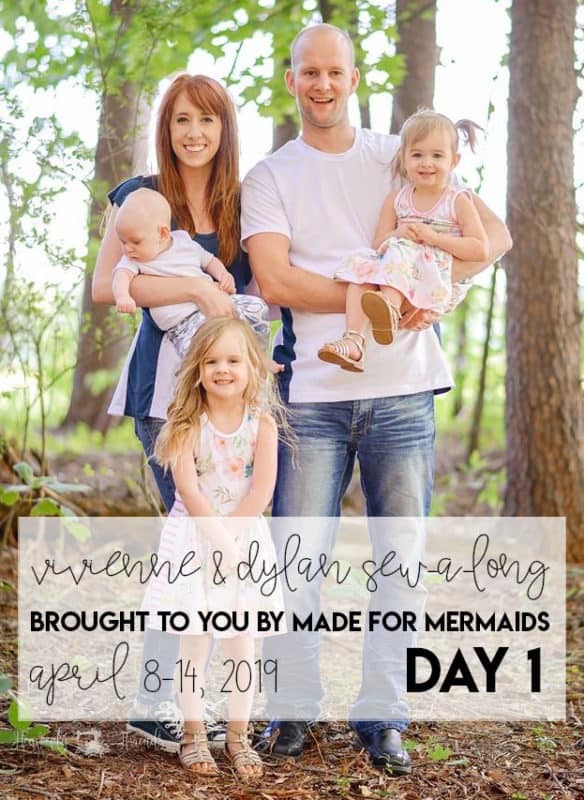 Decide if you want to create your Vivienne or Dylan (or both) per the tutorial, or if you want to use one of our hacks! 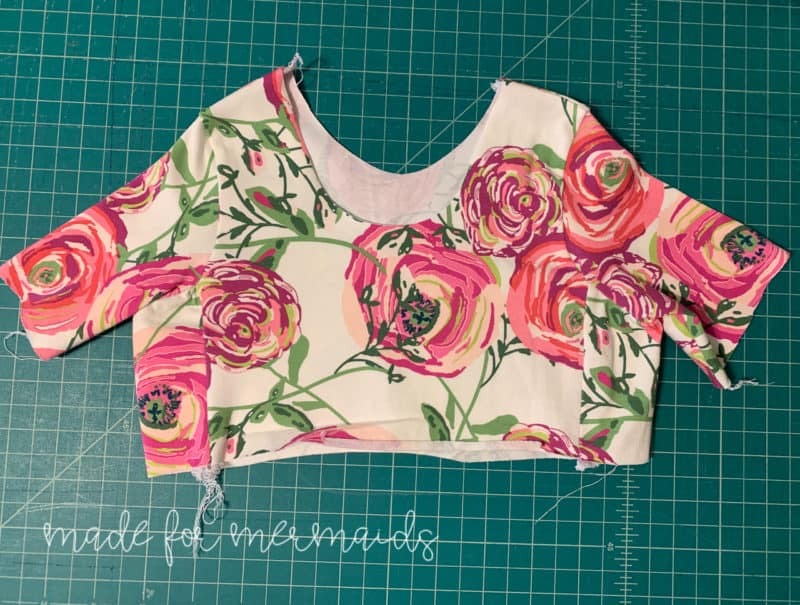 You can remove the side panel, modify for maternity wear, add flutter sleeves, hack the Dylan to be sleeveless, or hack Vivienne to be nursing friendly. 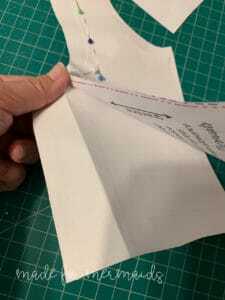 We get asked a lot about regular sleeves for the Vivienne, so I’ll show you how to do that below! 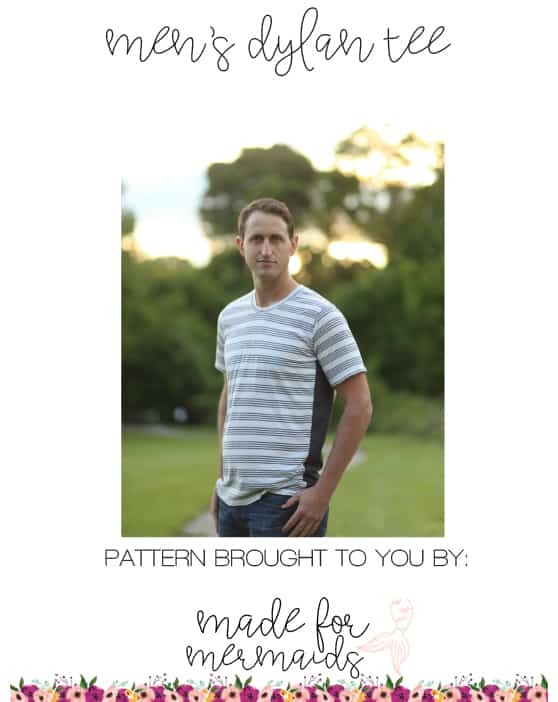 Next, go ahead and print your pattern! 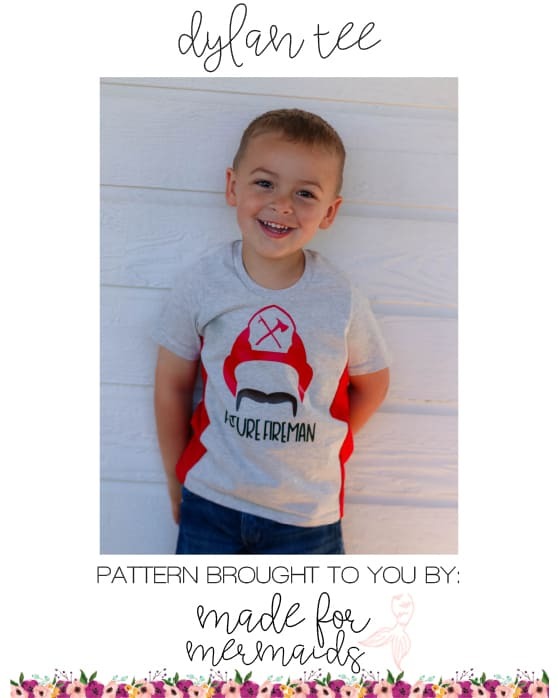 Be sure to print a test page and measure your 1″ square before you print the whole pattern. 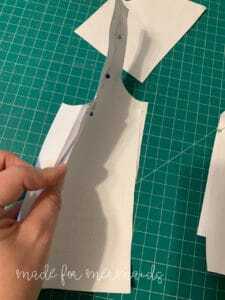 Once you’ve got your pattern pieces printed and assembled, go ahead and cut out your fabric so you are all ready for day 2. 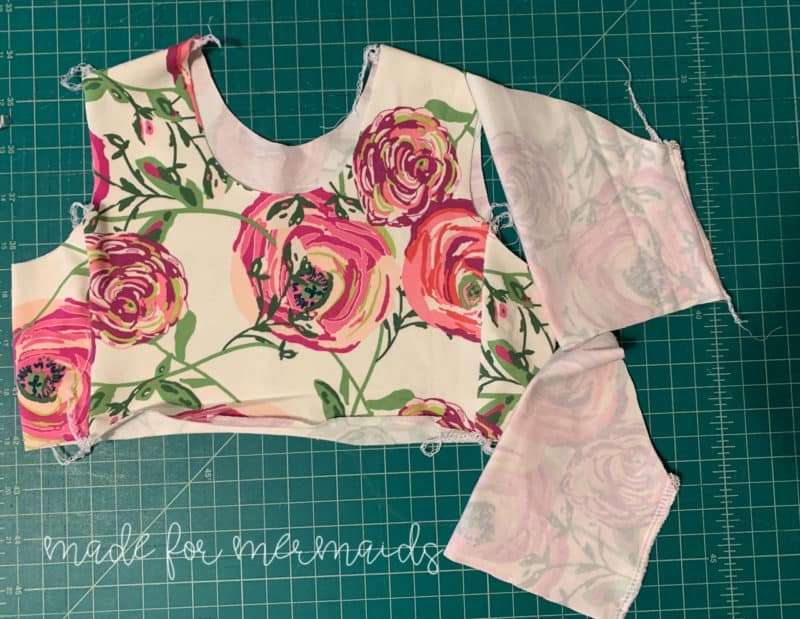 If you’d like to add sleeves to Vivienne, you’ll want to make sure to print out the bodice and sleeve pieces from another pattern! 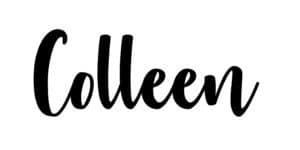 I opted to use Adeline, since I already had those pieces printed and ready. Pin front bodice pieces together, and back bodice pieces together. I matched up the inside corner first. Once the Adeline bodice was folded,I matched armscyes. If your new armscye is higher than your Vivienne bodice, you will want to add height to your side panel. Mine ended up being almost an exact match, so I did not add height to my side panels. 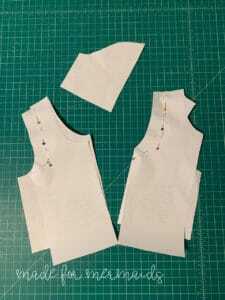 Cut your new bodice pieces, as well as your sleeves. You should have a modified front bodice, a modified back bodice, two side panels, and two sleeves. I modified the side panels to be the same height as the bodice because I’m going to attach to a different style skirt. 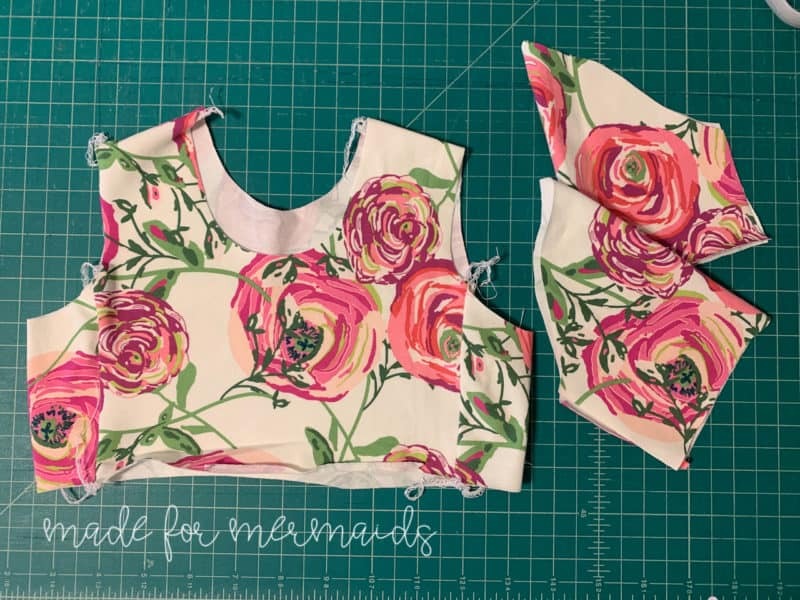 If keeping side panels per the pattern tutorial, follow the tutorial steps as written and attach sleeves in place of binding. 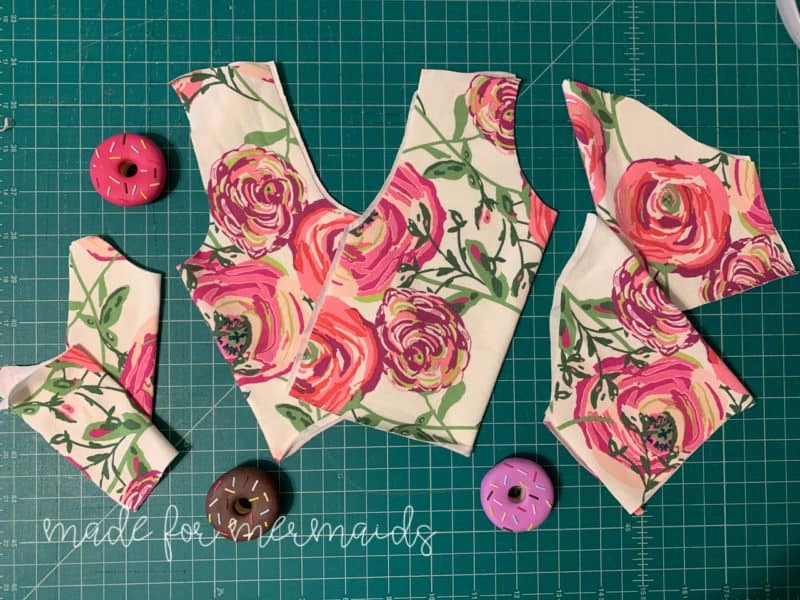 Sew sleeves with right sides together. 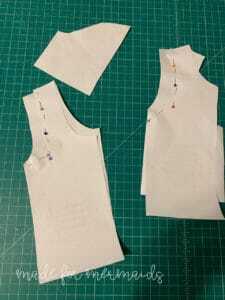 Turn bodice inside out, and sleeves right side out. Ease sleeve in, pinning or clipping at quarter points around the armscye. You can hem sleeves when you hem skirt bottom! 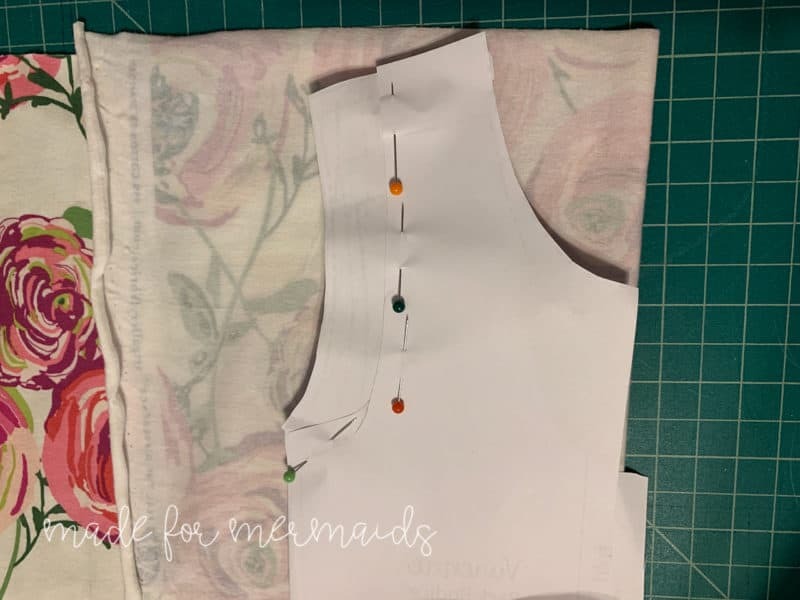 NOTE – Be sure to double check the width of the your Vivienne bodice pieces + side panels against the bodice piece you’re using to modify the armscye, in case you make adjustments to the sleeve piece. Feel like you’re missing a rectangle piece? Check the cut chart in the tutorial! The charts will always be on one of the first few pages of the tutorial. 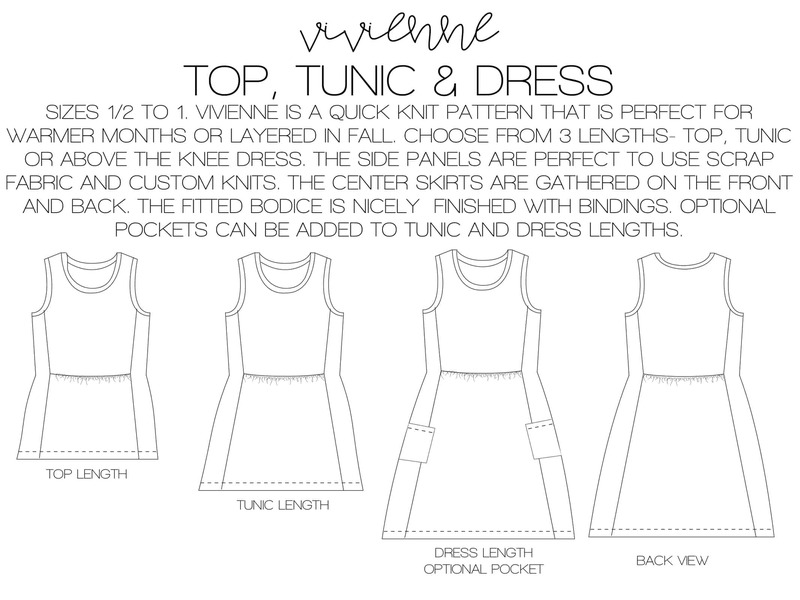 For Vivienne – don’t forget to cut your skirt piece and your side panel piece to the same skirt length!